Pasta doesn't need meat to be filling and delicious. 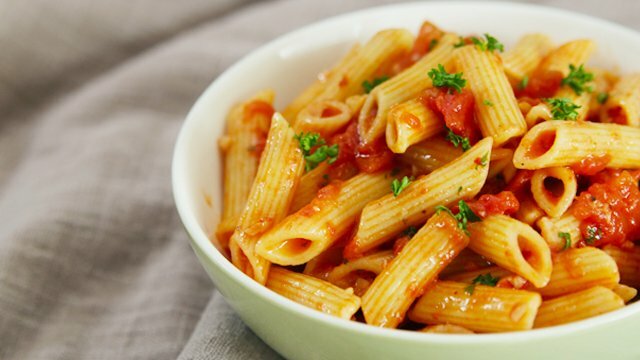 If you’re skipping the meat section this Lent (or just trying to lessen meat intake), head straight over to the pasta section. 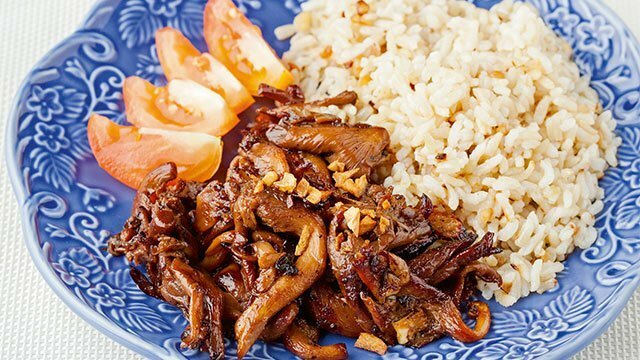 There’s a bunch of delicious and flavorful dishes you can easily make without meat. 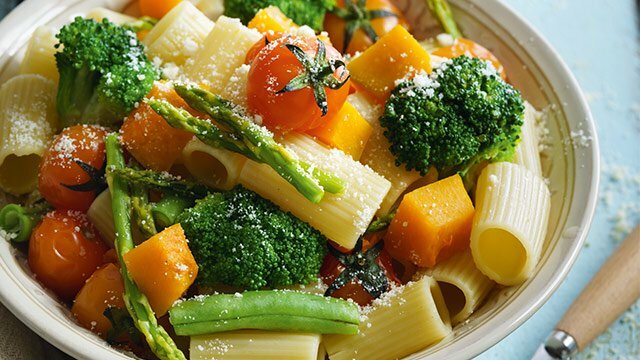 Skip washing too many pots and pans when you go for this easy vegetable pasta dish. All you need is a cutting board, a knife, and a pot! You’ll be done in 25 minutes. It’s so effortless! Giving your tomatoes a little kick of heat makes it so much better. 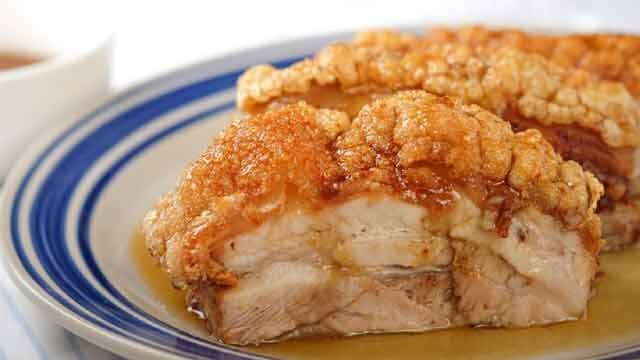 Our tip for this recipe? Use canned diced tomatoes to cut down on prep time. Salted egg gives your pasta that umami flavor and that unique texture. 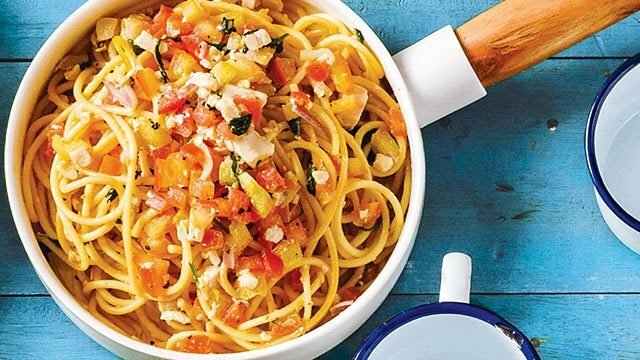 Make this pasta recipe an inspiration, and don’t be afraid to experiment with Filipino flavors when inventing your next pasta dish. Toss your favorite Pinoy side dishes, itlog na maalat and kamatis, into pasta. 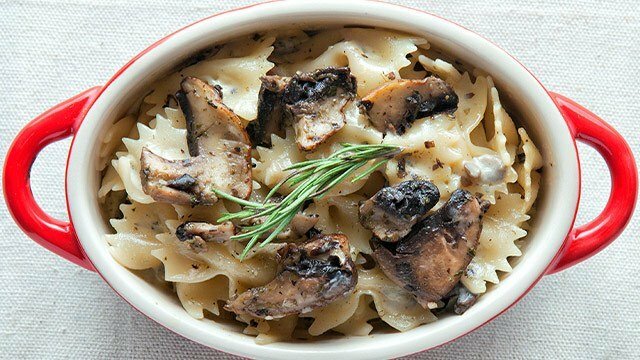 If you’re scared of vetsin, but have a soft-spot for umami, mushrooms are a natural source of this wonderful, savory note. Add in some freshly-made pesto, and you’re in for a flavorful treat. We also suggest you treat yourself with some fresh shiitake mushrooms, which aren’t as expensive as you’d think. Tip: Make your own pesto and save money! Make a jarful and store it in the fridge so you can use it at any time. 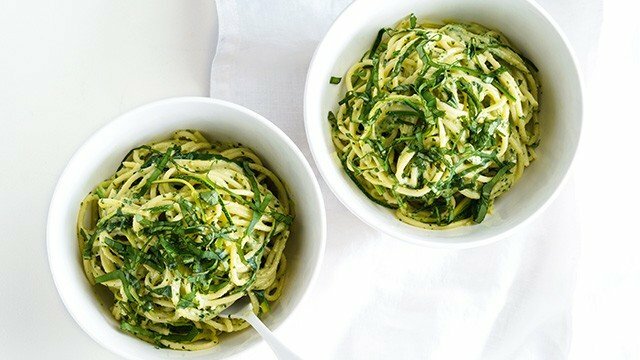 There are so many ways to use pesto! 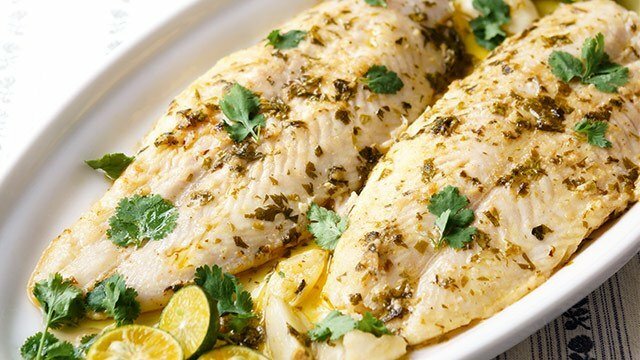 You can check these dinner recipes using pesto. This pasta recipe can work as either a main dish or a side dish. Did you know that tomatoes are incredibly affordable right now? You can get a bundle of bright, red, and juicy tomatoes for less than P20 at the supermarket! Add in your garlic, and you might be surprised at the level of deliciousness you’ll achieve in this simple but flavorful pasta dish. Tip: When buying bright, red, ripe tomatoes, use them within 1-2 days. Do not refrigerate them as that will alter the aroma and taste. If you want to use your tomatoes later in the week, then buy them while they are yellow-orange to orange. They will get riper by the day. Just make sure to store these out of its packaging and laid down in a single layer to avoid bruising. Don’t let the word “ricotta” scare you. Although it’s true that most cheeses are expensive, ricotta can be really affordable by making your own! 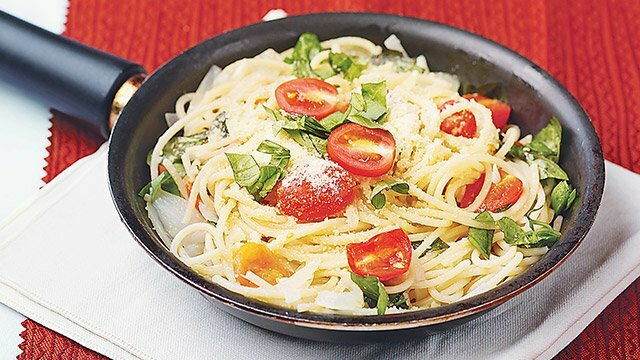 Unlocking the potential of creamy ricotta cheese is well worth the minimal effort you get to have a taste of this delicious pasta. 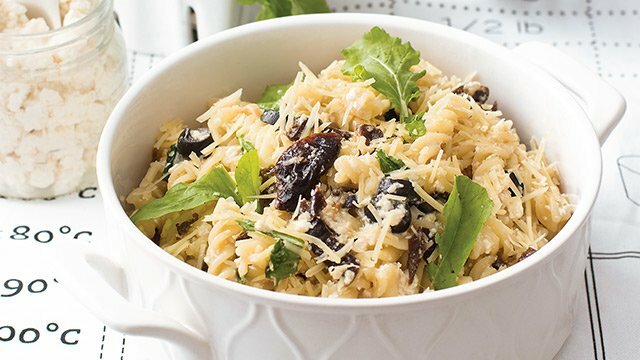 This pasta is cheesy, creamy, and tangy all at the same time! This creamy, cheesy recipe uses just six ingredients plus salt and pepper. It’s that easy! Get your cheese fix in a pinch. Try using spinach for your recipes to add another flavor profile to your veggie dishes. Spinach is in-season during summer. If you can’t seem to find fresh spinach and asparagus, you can try finding them at the frozen or canned vegetable sections at your grocery store. 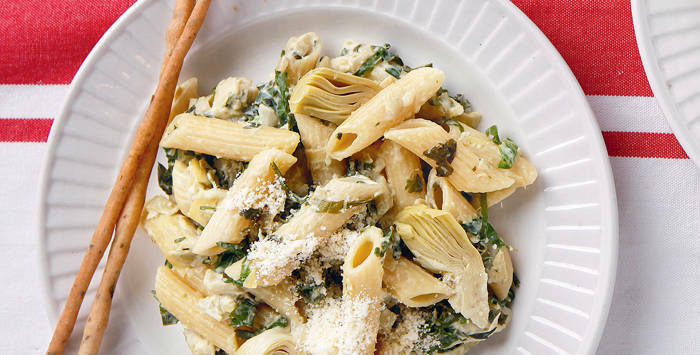 This pasta is loaded with leafy greens! 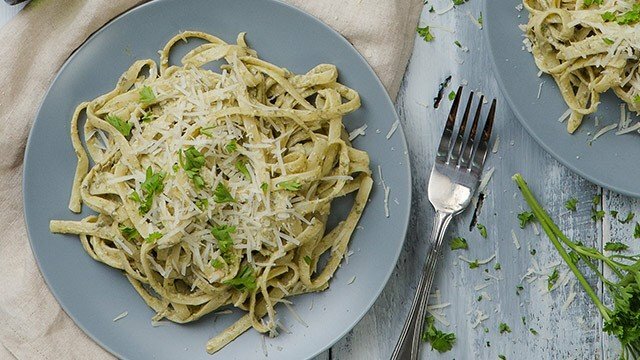 Pesto gives this pasta dish a vibrant, herby flavor that reminds you that eating healthy can be so delicious. 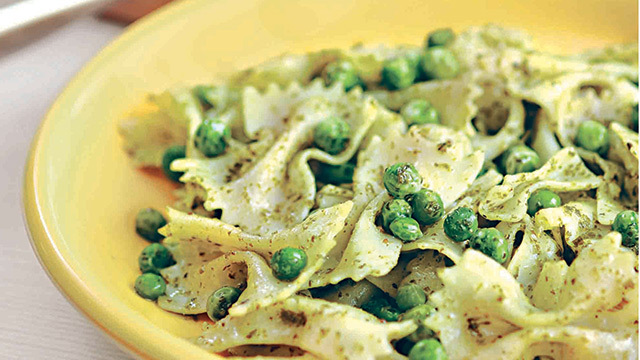 Peas, on the other hand, give this dish some heft. Plus, do you know how cheap peas are? Whether you’re getting frozen or canned, peas will barely make a difference to your shopping budget. Tip: Always have frozen peas on hand. You can easily add it to any dish for some additional heft and nutrients. Looking for more ingredients that will dramatically cut down grocery expenses? Click here. Have you tried this superfood yet? Available at the chiller section at your local large supermarkets as well as the membership-only superstores, these interesting, dark green, curly leaves have taken over healthy eaters in America. Mix it into your pesto for a bold, delicious taste. Make your favorite pesto sauce recipe with a twist: kale! 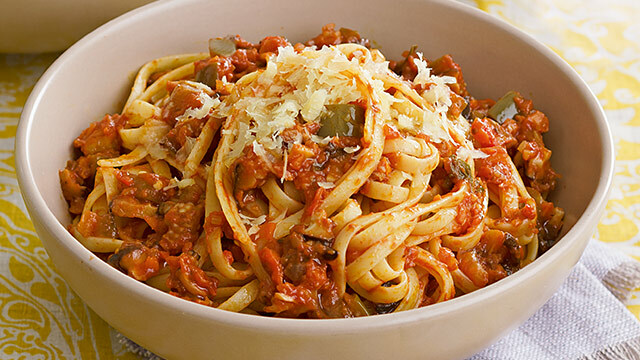 “Bolognese“ usually refers to a meat-based sauce. This recipe tries to achieve the same “meatiness” using minced, seasoned, and juicy eggplants and mushrooms. Here's a vegetarian version of the classic bolognese pasta recipe. If you were to rate your love for cheese from 1 to 10, what will you score? If you score 8 or higher, then you must have a taste for all the different kinds of cheese with their own unique flavors. This recipe is a good base to use a mix of your favorite cheese, whether it’s Gouda, gorgonzola, Danish blue cheese, or other cheeses. Or, maybe all you need is simple, perfectly delicious Parmesan. 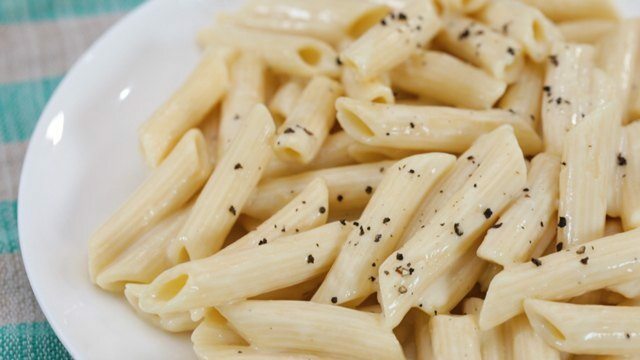 Whatever cheese you choose, you'll get a decadent, creamy pasta just to your liking. Whether you’re going vegetarian long term or short term for the Lenten season or meatless Mondays, these delicious, meat-free dishes prove that going meatless can be both delicious and easy. Pasta is easy and quick to make while filling you up. Meanwhile, the flavorful sauces ranging from bright tomato-based marinara and herby, fragrant pesto to creamy cheese sauces are sure to satisfy your palate. 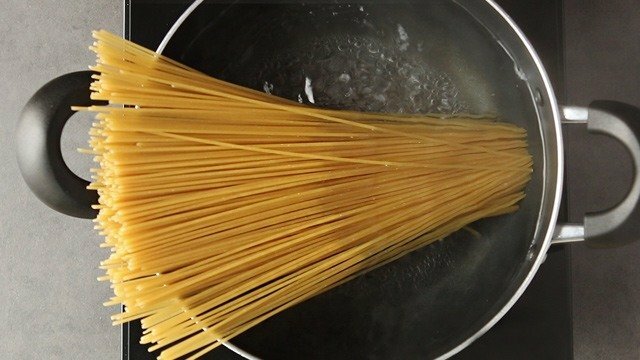 Need more tips about cooking pasta? Get it from renowned Cibo Chef Margarita Fores!  Of, if you're looking for more recipes to get you through this Lenten season, check out these meatless recipes. 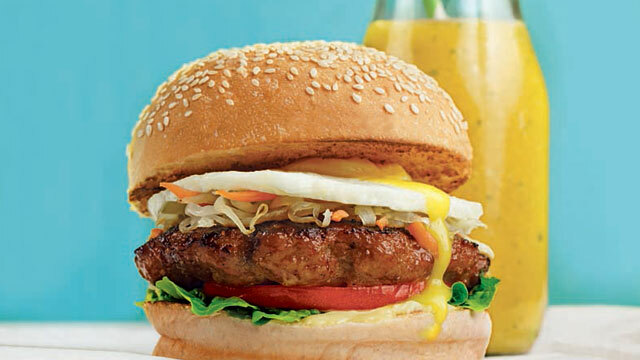 You can also check out our other vegetarian recipes here. If you're concerned about your protein while being vegetarian, get these tofu recipes.